Pakistan is quite notorious for producing bowling sensations in the cricket world. While Pakistan’s batting department has not been able to produce quality batsmen on consistent basis, its bowling unit has maintained its tradition to stun the cricketing world with its sheer quality. They consistently churn out bowlers, both fast and spinners, who create havoc at the top stages of cricket tournaments. Keeping up with the tradition, Pakistan has given the cricket world another bowling sensation in the form of Hasan Ali. He is currently ranked at the top by the ICC, based on his recent stellar performances. There are certain accomplishments that have led to Ali being the talk of the town these days. From just 18 ODIs in 2017, Ali has taken 45 wickets at a strike rate of 20.3, and an outstanding average of just 17.04. These figures have made him the highest wicket-taker of the year. Moreover, he recently became the quickest Pakistani bowler to reach 50 ODI wickets. He achieved this landmark in just 24 matches, breaking Waqar Younis’s record of 27 matches. He is also the joint fourth-fastest to achieve this feat, with only Ajantha Mendis, Ajit Agarkar, and Mitchell McClenaghan ahead of him. As far as his comparison with Younis is concerned, Ali is off to the right start. His strike rate of 20.3 in 2017 is equal to that of Younis’s in 1990. Also, in the list of best ODI bowling averages for Pakistan in a calendar year (minimum 150 overs bowled), only Younis’s average of 12.63 in 1990 lies ahead of Ali’s 17.04 in 2017. What makes Ali quite threatening is his ability to take consistent scalps in the middle overs in ODIs. He has bowled two-thirds of his overs between 11th and 40th overs, taking 59% of his wickets (33 out of 56). He averages only 19.33 in this period, topping the list of players who have bowled at least 100 overs between 11th and 40th overs (against top nine teams) since the start of 2016. The second-placed player, Imran Tahir, averages 25.82, which makes Ali’s average 34% better than Tahir’s. During the same middle overs, Ali strikes once every 26 balls when other bowlers have found it hard to keep that number below 35. Furthermore, he is quite adept at restricting runs too. His economy rate of 4.50 during middle overs exhibits his exceptional ability to choke batsmen when they are trying to build their innings in the middle overs. After the fourth match of the recently concluded ODI series against Sri Lanka, Sarfraz Ahmed said that Pakistan has the best bowling attack in the world. Hence, one thing that needs to be mentioned here is Ali’s role in Pakistan’s burgeoning bowling attack in recent years. Between January 2014 and December 2016, Pakistan’s pacers averaged only 39.57 in ODIs, only ahead of Zimbabwe, UAE, Kenya and Canada. However, Ali has boosted this average significantly in 2017. He has single-handedly moved Pakistan to the top, making Pakistan’s average of 25.61 the best among pacers from the top nine teams in 2017. Ali has claimed around 46% of the total wickets for Pakistan in 2017. If we exclude his figures, the other pacers in the team managed a mediocre average of just 33. Moreover, Ali was also the key factor in Pakistan’s triumph in the Champions Trophy earlier this year. He took 13 wickets in the tournament, and earned the Player of the Series award. Ali has definitely given his captain a reason to boast about Pakistan’s bowling attack. Although these numbers have propelled Ali to the top of the ICC rankings for ODI bowlers, what these figures do not show is his athleticism in the field. He is one of the nimblest fielders in the Pakistan side. Furthermore, although he has earned most of the accolades for his performances in ODIs, he is equally frightening in T20Is. In just 12 T20Is, he has swallowed 18 batsmen at an average of 20.11, and a strike rate of just 14.2. This is certainly an impressive start to one’s international career. The aforementioned figures have made Ali one of the rising stars in world cricket, and an inspiration for millions in Pakistan. 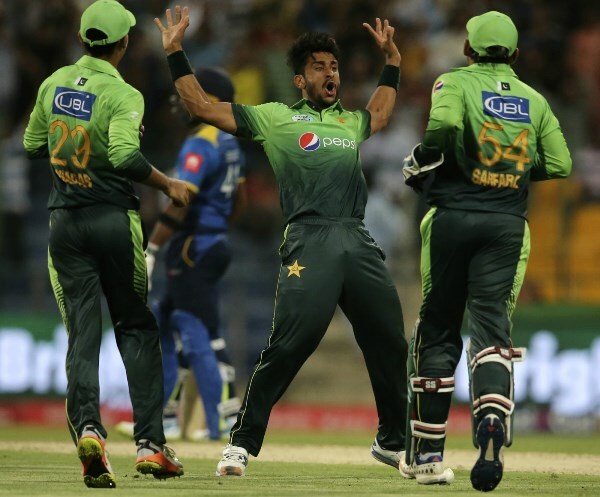 While Pakistan maybe the most unpredictable team in the world when it comes to its performance, one thing is quite predictable now, the “explosion” celebration is here to stay.